Built as a rear addition to the home, this outdoor living area uses the language of the Aussie shearing shed and shady verandahs of country houses as it reference point. Which is why this modern rendition works so well in the backyard and why we feel so comfortable in spaces designed this way. 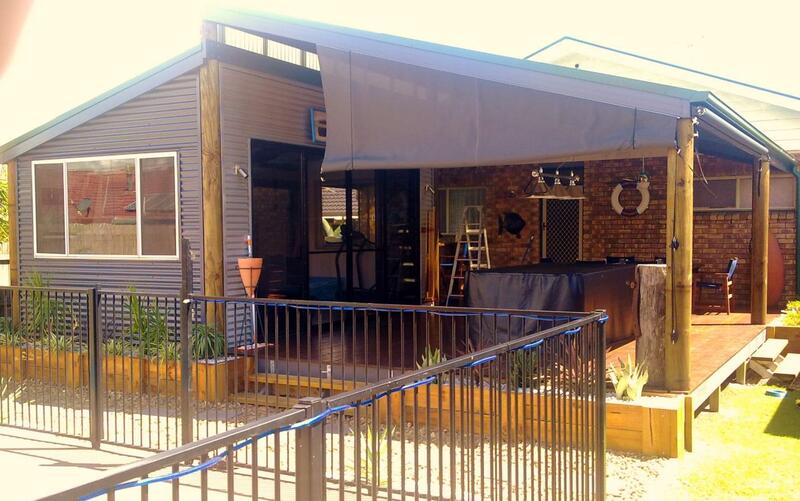 Instead of settling for a deck and awning this home owner wanted more from their outdoor entertaining space, so Adam Butcher of Gold Coast Outside Concepts branch designed it to include personal gym area, spa, bar, dining area and BBQ. The backyard and swimming pool are a step away and everything is well-placed and logical in its layout. Treated pine poles provide the skeleton for the framing and decking. The use of poles allow solid construction without the need and cost of an on-ground slab. 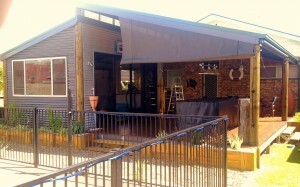 They give an appealing rustic look to the space that is well complemented by the use of Colorbond corrugated cladding. The internal gym room is a retreat within a retreat and being fully lockable could also house the pool table or home entertainment equipment if desired. 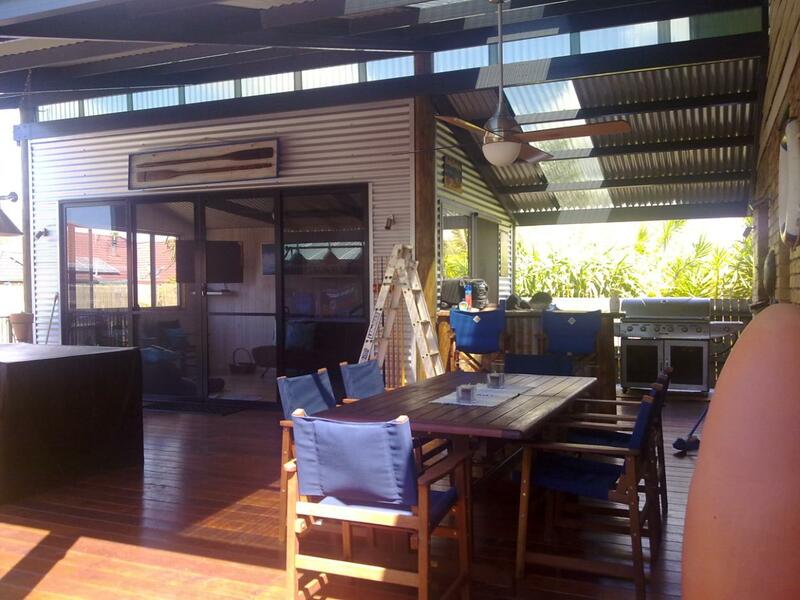 If you’re in need of the ultimate liveable outdoor space then think not further than Outside Concepts – truly professional in building process and end product. Call today!